I don’t know if Floating Staircase is in print anymore. I think you can get it on the Kindle Store and secondhand elsewhere. I picked it up from my local library, though. After checking it out, I went home to read a few chapters. It’s what you do when you love reading. A few chapters turned into the entire book… in one sitting. Floating Staircase is a big book, but it reads very quick. If you’ve ever read a Malfi book, then you know what I’m talking about. Travis Glasgow and his wife Jodie buy their first house in the seemingly idyllic western Maryland town of Westlake. Travis is a successful novelist. He’s hoping to get close with his brother. Things are going pretty good, but there’s something up with their new house. Travis feels a little uneasy about the lake behind their new home. When Travis was younger, his little brother drowned while they were swimming. The house starts making weird sounds. Shadows appear where they shouldn’t. Rustling in the walls. After hearing rumors about his home at a gathering, Travis goes down a deep rabbit hole, searching for any sort of history on the house. He’s not prepared for what he’s about to find. 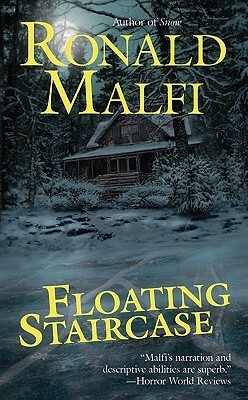 Whilst reading Floating Staircase, I laughed and cried; it’s an emotional rollercoaster thrill-ride. Malfi writes complex stories with tons of layers. The characterization is bloody brilliant. The characters are so dynamic, especially Travis and Jodie. Malfi’s superb dialogue felt real and true to the setting. The backstory is everything. No one writes like Ronald Malfi. 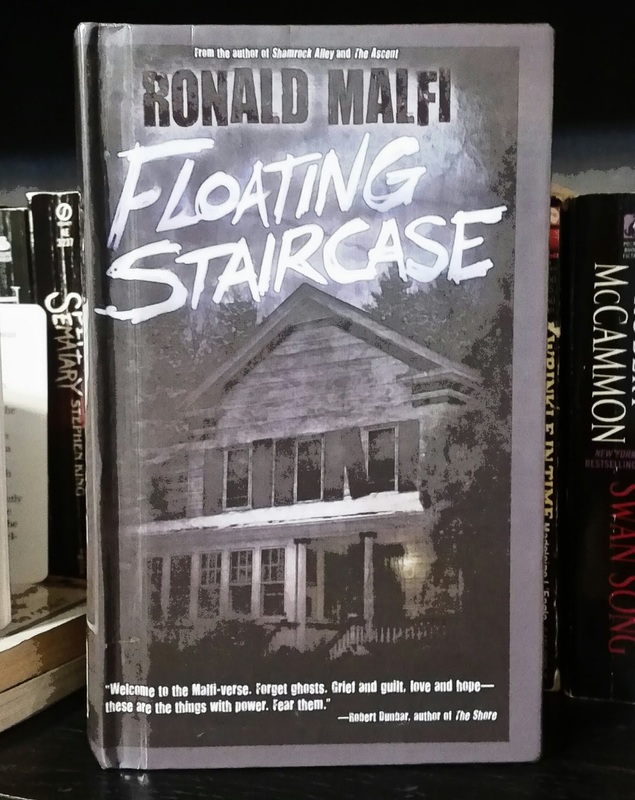 Floating Staircase is an intriguing mystery wrapped in a horror story. I connected with the characters. Travis’ relationships are brought to the forefront, adding that extra ingredient to the great concoction that is Floating Staircase. You will want to wear your stretchy pants, grab some junk food, and take the journey with Travis. The scenes are vividly intense. So much so I devoured Floating Staircase in one bite. Some scenes can’t be unseen. Malfi doesn’t spend much time with descriptors, allowing for better plot progression. The story is thoroughly unsettling and it will send shivers up your spine. The ending is great, too. Did I mention the cover? Just look at it. That cover is beautiful. Following the success of his latest novel, Travis Glasgow and his wife Jodie buy their first house in the seemingly idyllic western Maryland town of Westlake. At first, everything is picture perfect—from the beautiful lake behind the house to the rebirth of the friendship between Travis and his brother, Adam, who lives nearby. Travis also begins to overcome the darkness of his childhood and the guilt he’s harbored since his younger brother’s death—a tragic drowning veiled in mystery that has plagued Travis since he was 13. Soon, though, the new house begins to lose its allure. Strange noises wake Travis at night, and his dreams are plagued by ghosts. Barely glimpsed shapes flit through the darkened hallways, but strangest of all is the bizarre set of wooden stairs that rises cryptically out of the lake behind the house. Travis becomes drawn to the structure, but the more he investigates, the more he uncovers the house’s violent and tragic past, and the more he learns that some secrets cannot be buried forever.